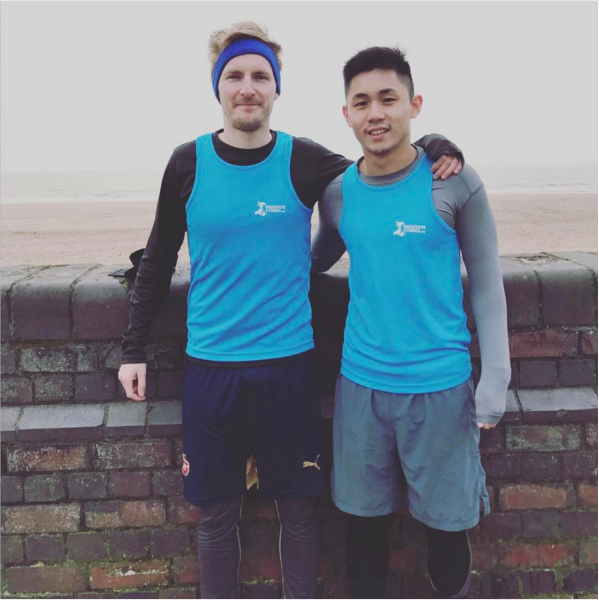 Elective Report by Adrian Yan & Ryan Govier (Written by Adrian Yan) – Recipients of the Ray Williams Travelling Fellowship. 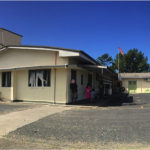 Our elective was in Sigatoka (pronounced “Sing-a-to-ka”), Fiji. 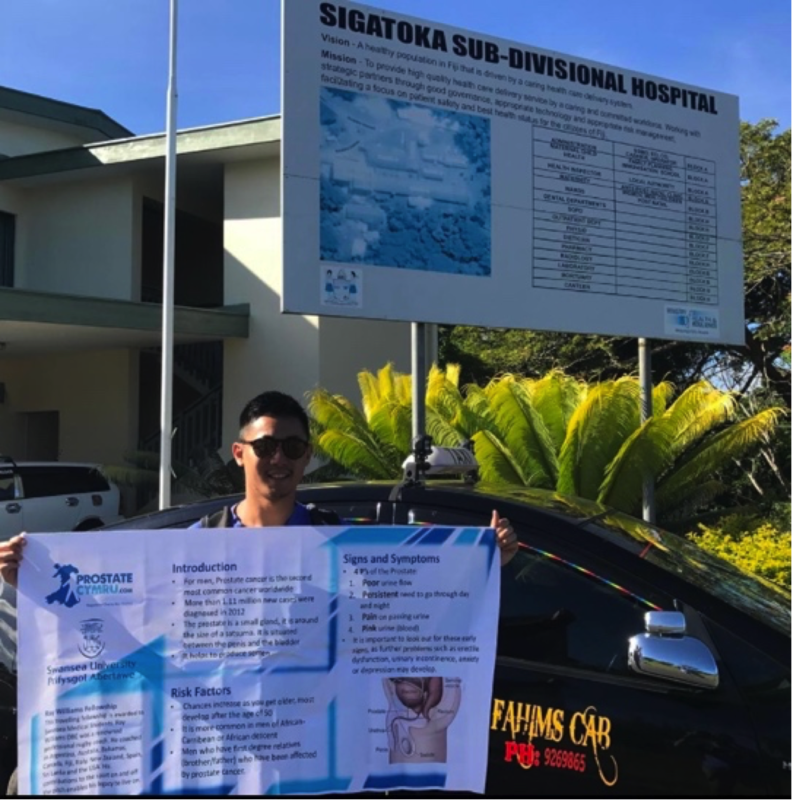 Sigatoka Sub-Divisional Hospital has an emergency department (with a new helicopter pad), a men’s ward, a women’s ward, a paediatric ward, an antenatal ward, a general outpatients (GP style centre) and a stable outpatients department. We spent a total of 5 weeks at the hospital. 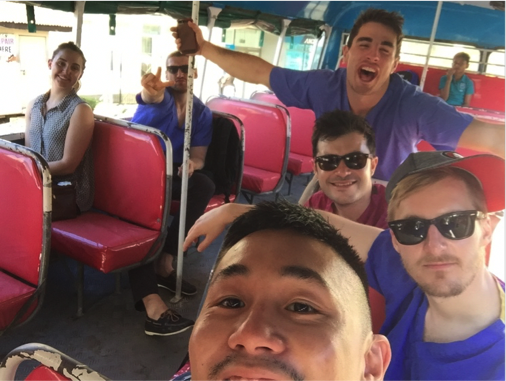 We spent a few days in each department, mostly taking histories and chatting to patients. The main condition which I had never seen before was Dengue fever; it was a common cause for the patients who came in with acute febrile illness. The majority of patients we had seen were unaware of the risks of mosquito bites and the existence of dengue fever. This highlighted the importance of education and the role of public health. Additionally, we found Fijians to be very tough, with high thresholds for pain; for this reason, many presented having experienced symptoms for long periods, with some having quite severe illness. 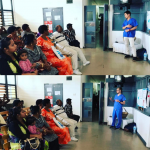 Again, this highlighted the importance of the role of public health to educate and encourage presentation to the general outpatients earlier on. 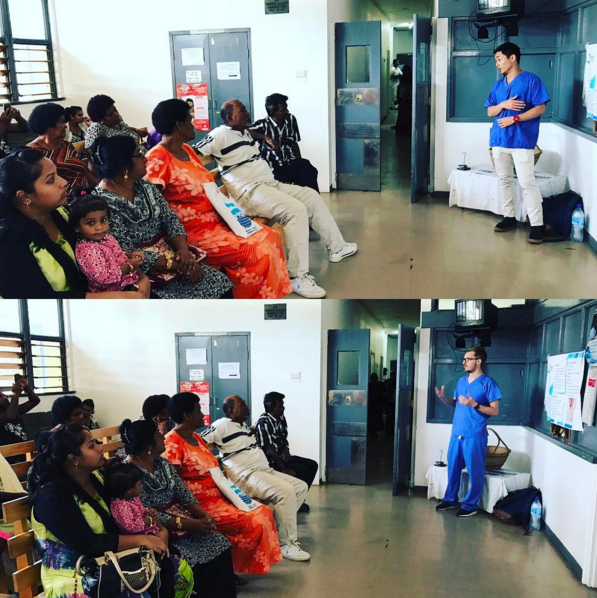 Prostate Cymru provided a generous grant which enabled us to utilise the opportunity to educate many Fijians. I carried a large poster with me everywhere I went and had prepared a 15-minute presentation. The presentation was about spotting the early signs of prostate cancer or prostate enlargement. I spent many days in the waiting room of the hospital and presented to many men and women. I emphasised that my audience should take what they had learnt from my presentation to their friends, brothers, husbands… and all the rest of the men in their life. One memorable incident was when a large, muscular Fijian man took my colleague and I aside at the end of one of the presentations. He was asking “for a friend”, though the fear in his eyes suggested otherwise. 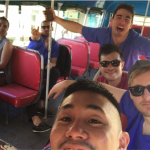 Nonetheless, regardless of if he was asking for himself or a friend, we advised that if he/his friend had been experiencing the symptoms described, then he should go to see a doctor. I felt an immense sense of pride in that, even at the least, the presentation had impacted one man. The highlight of the trip was being taken in by a local village. One of the ward assistants is a very enthusiastic rugby player, along with the rest of the country. On our second day on the wards, he invited us to go to one of their training sessions. It was a fitness training session up the natural sand dunes. It was an incredibly tough session, though equally enjoyable. A highlight was when I was carrying a sandbag and was really struggling, I felt a large hand behind me and a loud voice: “keep going bro!” At the end of the session, the team talked about how we are one family and we were now a part of the village. We were at the top of the sand dunes in the dark, with the winds carrying the sand into our eyes. We huddled up and the team started singing, harmonising and praying together. It was a surreal and an unforgettable moment. 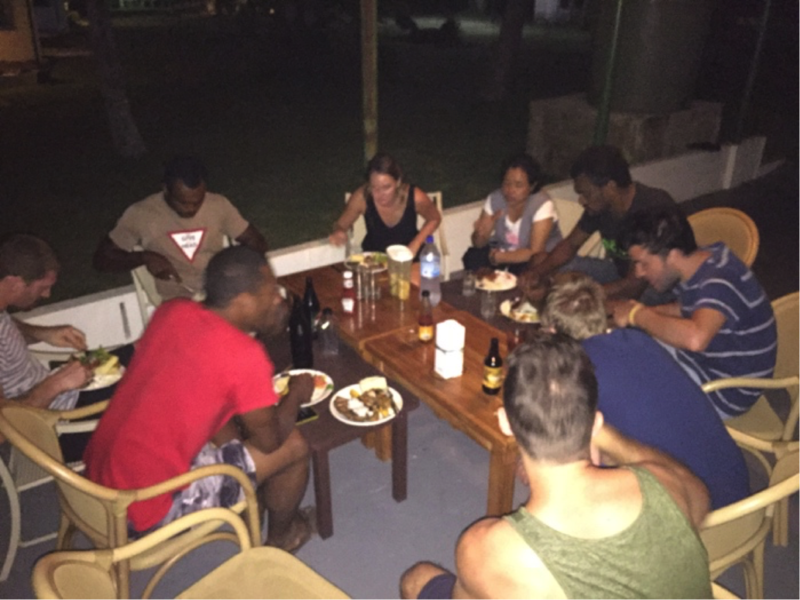 We went on to go to many more sessions and had dinner in the village. 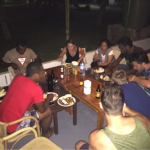 The sense of community and warmth we experienced was the greatest highlight of the trip. I also took this opportunity to talk to the village about the prostate. Rugby seemed to be a popular tool for attracting large crowds and, through this, I could speak to a lot of people.